Comment Period on EA Ends April 7, 2017. A State Seabird Sanctuary is being targeted by the Hawaii Department of Land and Natural Resources (DLNR) to be aerially bombarded with rat poison, in yet another attempt to eradicate rats from the island. In 2006, Lehua restoration involved the successful trapping and hunting of all of the rabbits on the island. In 2009, rat eradication using the anticoagulant rodenticide diphacinone failed. Now, they want another crack at it. Unfortunately, success of eradication is far from certain, especially given Lehua’s steep cliff terrain. But what is certain is that there will be non-target impacts, which means lots of dead birds. 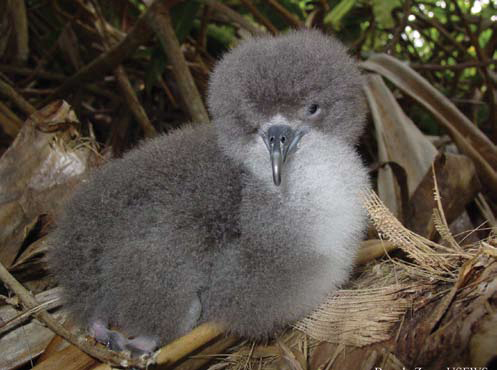 Most susceptible will be the seabird chicks, including endangered, threatened and protected species. The poison bait pellets will be distributed throughout the island to expose every single rat to high enough doses to make them hemorrhage internally, like a hemophiliac. When the pellets fall from the big hopper in the sky suspended from a helicopter, some will fall near chicks, some of which will eat the pellets. Some other birds will eat poisoned rodents, killing them through secondary exposure. 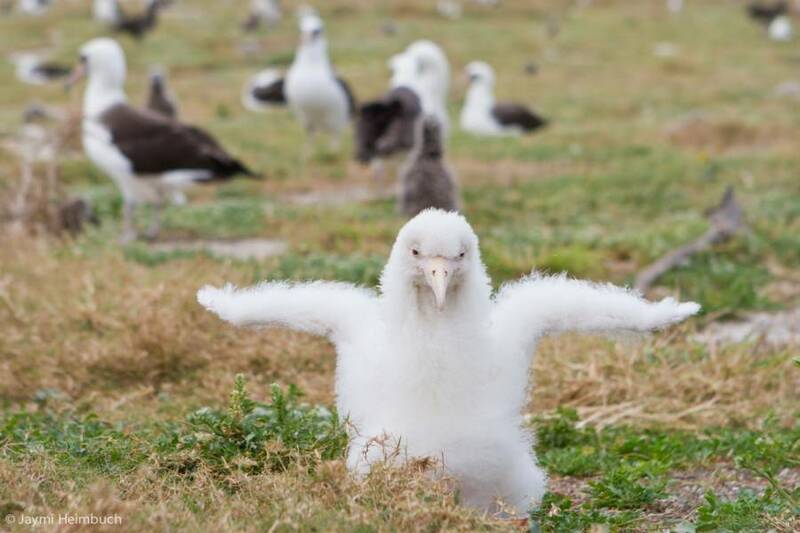 This will happen to the island’s barn owls and cattle egrets, two species of predatory birds introduced to Hawaii in the 1950’s for rodent control, but now targeted by the DLNR as invasive pests. In fact, the DLNR is currently shooting all the owls and egrets they can find on Lehua, and elsewhere, so they don’t care if the owls or egrets they miss end up getting poisoned. Of course, no scientific evidence of their claim of recovery was provided. They also don’t give any science about what will happen once the rats are dead and gone from Lehua. After eradicating the rabbits, invasive grass grew back, along with other invasive weeds. Rats eat ants and grasshoppers, which are a serious pest on Lehua. Ants can also attack chicks and eggs, so fewer rodents means more insect pests. And nobody knows what plants will start to grow once the rats are gone. Ironically, the DLNR considers the invasive grass a good thing, since it prevents erosion. On the other hand, restoration of Lehua requires removal of invasive grasses. Of course, if they could eradicate all the rats from Lehua, it may all be for nothing if new rats come back. Since the island is less than a mile from Niihau, re-infestation is a real possibility. So all the collateral damage to birds, fish, and anything else that is harmed by these poisons could all be for nothing. That’s the case with any war. Those who make war are willing to accept that there will be casualties. We try to minimize casualties, but the fact that some innocent individuals will be victims of the war is accepted. Using this line of reasoning, it’s worth the short-term losses of seabirds in the fight against rats for the long-term benefits of the rats being gone. But what if eradication is not necessary? What if reducing their numbers with available birth control is enough to mitigate their negative impacts on the island? In fact, birth control was mentioned as a possible alternative by the DLNR. According to the EA, “The use of hormonal treatments for the eradication of rats on Lehua Island was considered and dismissed because the current available treatments have been designed and tested for population control in urban areas and have never been used to achieve complete eradication.” In other words, it’s easier to use poisons than try something new. According to recent reports, the rodenticide market worldwide is expected to be worth 1.23 billion USD by 2022. That’s just for rodenticides. Add other pesticides, and you can see the power and influence of the poison industry, and why poisons are the method of choice by government restorationists. Unfortunately, the money obscures the facts, and war drums are heard beating for the eradication of rats to save the birds. Who will save the birds from the war? And is a war really necessary? 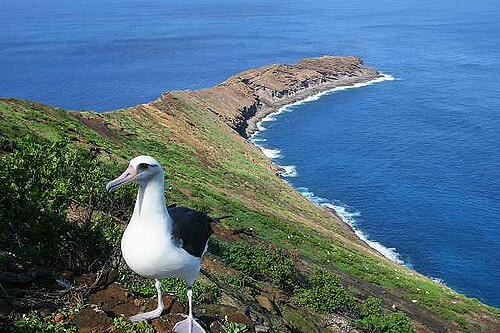 According to the EA, some seabird species on Lehua are thriving and arriving despite decades of rats and rabbits. Are rats really as bad on Lehua as we are told to believe? Will Lehua really be better off without any rats, despite still having lots of invasive plants and insects that had been controlled by the rats? Whom can you ask? Well, you could ask the DLNR. But, unfortunately, the DLNR is the applicant on the EA, the decision-maker, and will be the implementors of the eradication. In other words, they want this done, they will be doing it, and it will take a miracle to stop them. The USDA Wildlife Services is backing them up, too. They are the part of the USDA that kills wildlife, and they use lots of rodenticide. It should be no surprise that the EA concludes that there will be no significant impacts from their poisoning the entire island of Lehua. They do not want to do an Environmental Impact Statement, or EIS, which would require them to more deeply consider the impacts of their proposal. An EIS would require thoroughness that an EA does not. That’s why it’s important to comment on this EA and tell the DLNR that they should do an EIS. To read their EA, go here. Send comments to Patrick Chee, LehuaRestoration@hawaii.gov, 1151 Punchbowl St. Rm. 325, Honolulu, HI 96813. Or call, 808-587-4191. Deadline for comments: April 7, 2017.